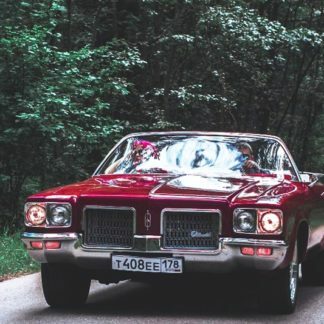 American cars look luxurious and have excellent technical performance. 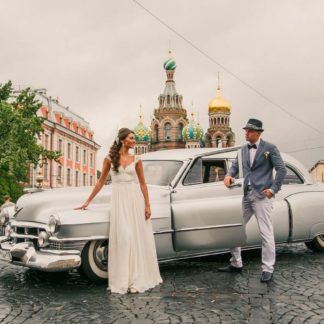 Thanks to the opportunity to rent such a transport,you and your guests will look very prestigious and will attract attention even with a large stream on the streets of the city. 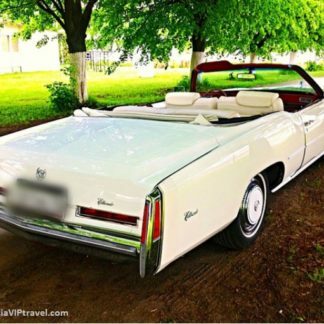 This car, like all of our Retro vehicles has been lovingly restored to its magnificence and you and your party will revel in its wonder. 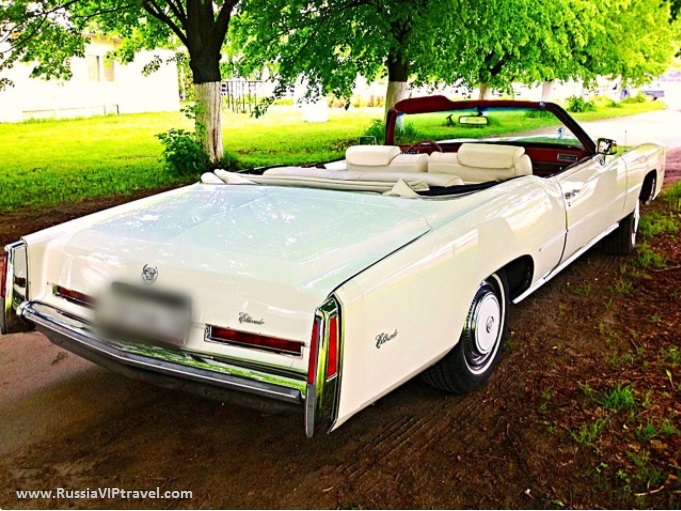 The respectable Cadillac Eldorado 1976 will be the center of attention not only by your guests, but also passers-by. 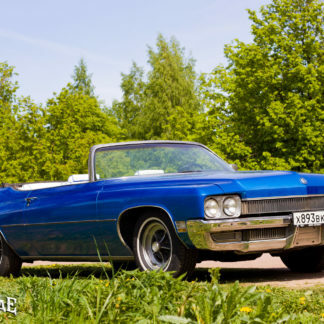 After all, this is the legendary “The Last of Convertibles”, which completed one of the stages of the development of the automobile brand. 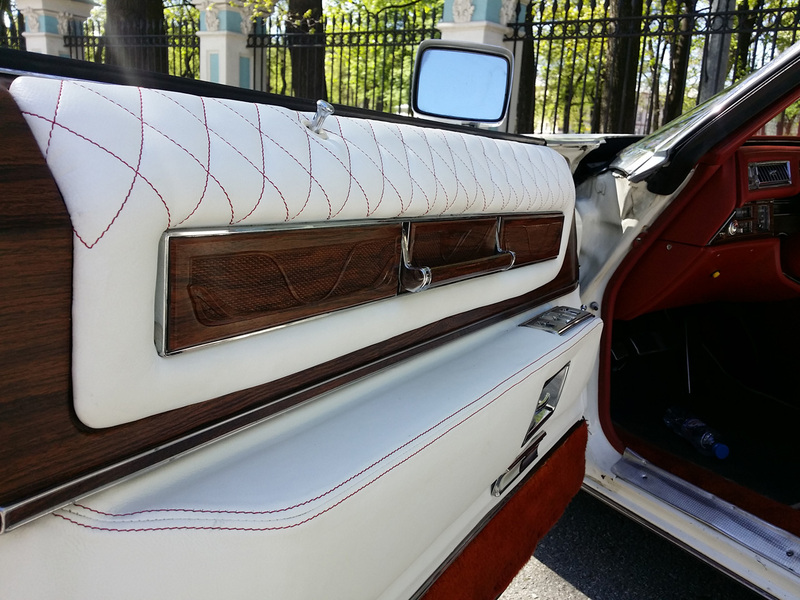 The subsequent models no longer possessed such glamor and grandeur. 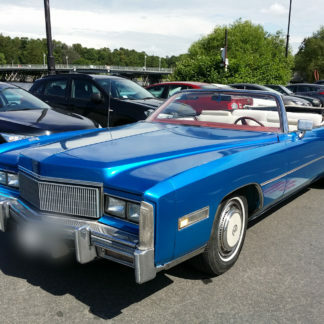 One of the Cadillac Eldorado 1976 was in the rich collection of Elvis Presley, later his car was bought by the Jacksons. 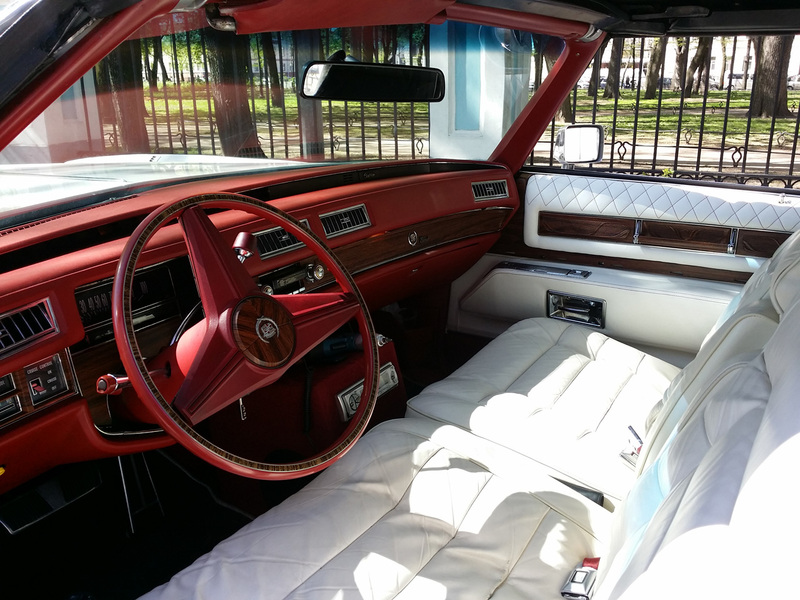 Many collectors consider this model of the gig to be the best exhibit of their collection. 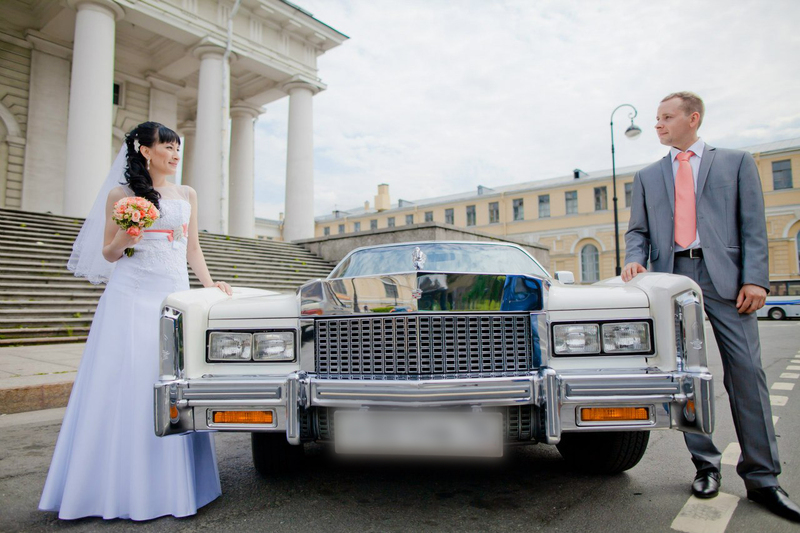 Rent a wedding retro car with an unusual and colorful history will be for the young family a symbol of a happy life. 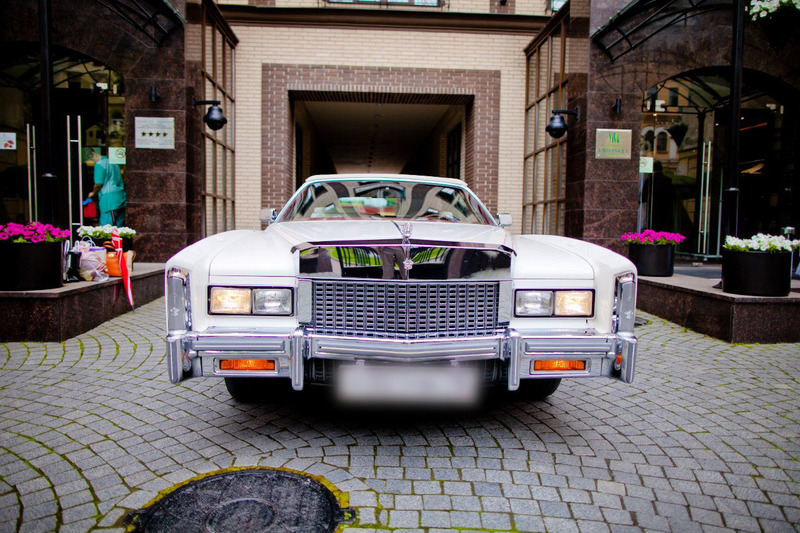 This vehicle is quite popular for sighseeing and especially our Photo Shoot packages.